THANK YOU for your interest in our SKATE ASIA 2019 Competition & 3rd Series in our ISIAsia Championship 2019. 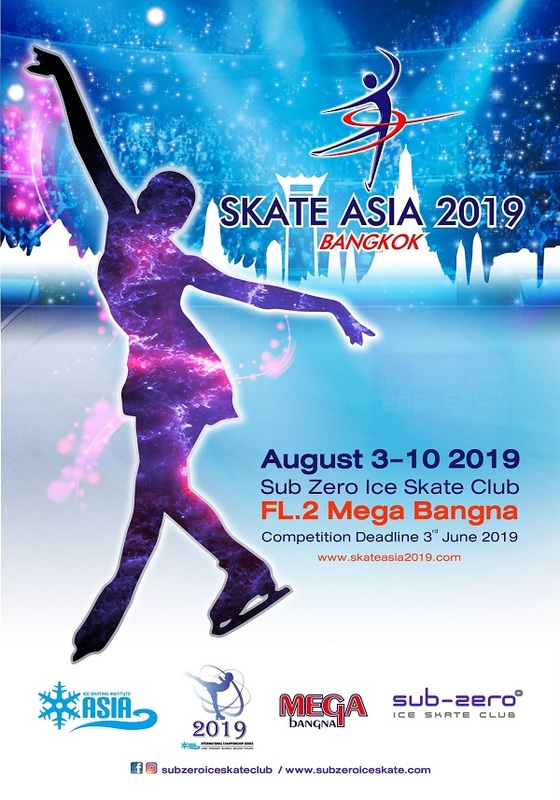 It is very excited to organize Skate Asia for the first time in Sub Zero Mega Bangna, Bangkok, Thailand. In this respect of the Skate Asia 2019 in Sub Zero Mega Bangna, Thailand which is only a few months away, are particularly important. They bring together people from all around South-East Asia, China, UAE and many more to celebrate our passion in ice skating and our unity in diversity. Therefore, we hope you MAKE YOUR PLANS NOW and encourage your skaters to attend! Since we are expecting another popular Skate Asia Competition this year and to help ensure an accurate and easy entry process for your skaters – we wish all coaches to follow our instructions for easier processing of your skaters’ entry forms and payments. Your cooperation and efficient help with this registration process will be GREATLY APPRECIATED!! Please download the following documents for your information. 2. Complete the entry form with ISIAsia valid coach to sign for confirmation of event level. 3. Send the entry forms and transfer entry payment to Host Rink. Please be reminded that you have to send a copy of all the entry forms to ISIAsia Office for record.